Nokia’s N-Gage device was a hit when it came out, but it quickly died because of the lack of games. 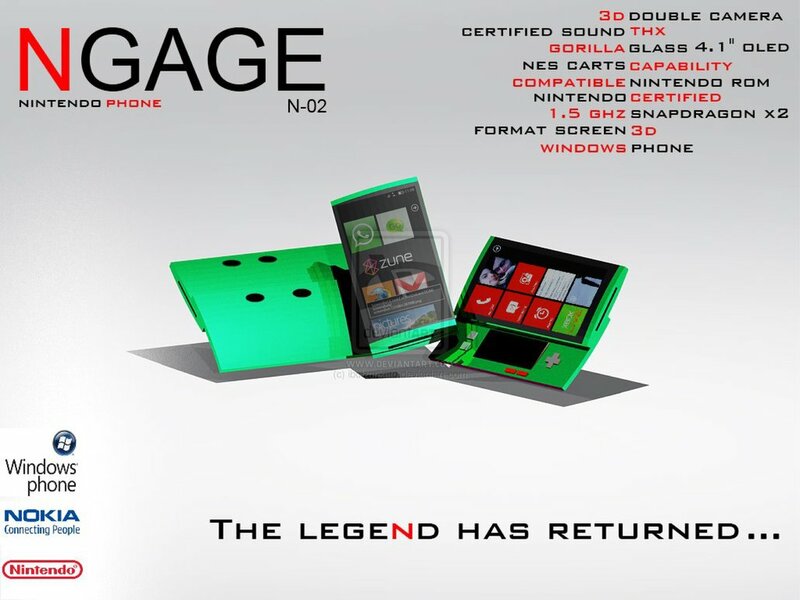 Many people have been expecting a resurrection of the product for a while now, but all we have at the time are concepts, like the N-Gage N-02 design you can see below, created by AMAQUI (ibolzurikato). We’re dealing here with a gaming phone that runs Windows Phone and has a Nintendo twist to the experience, as shown by its sliding area with gaming controls and secondary touch pad/screen. It’s strange to see Microsoft giving its OS to something that’s not Xbox-based and instead uses Nintendo technology, but stranger things have happened. This new Nokia N-Gage uses a 4.1 inch OLED Gorilla Glass display, supports NES carts (somehow) and it’s compatible with all the famous Nintendo ROMs. Inside there’s a 1.5GHz Snapdragon processor (in a dual core flavor probably) and we also get a 3D display, in case you’re wondering. Basically, imagine a hybrid between the Nintendo 3DS and a Windows Phone unit.. Would it sell better than the Xperia Play?